When you license the My Service Log software, our training staff will be available to work with you and designated members of your staff. Documentation will be provided to help you train program administrators, staff, and members. For ongoing support, we provide contextual help documentation on each page of the site for page specific questions. We also have a Help section where users can find all the documentation of the site, plus additional information, manuals and overviews, best practices, and a search feature. 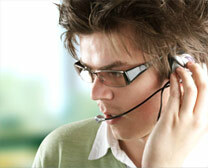 We also provide direct phone and email support. To reach our support staff, please email help@myservicelog.com, or call 1-866-558-2643.